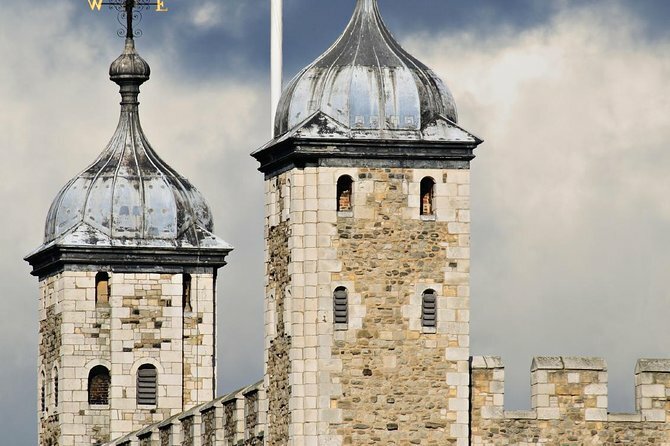 Delve into London’s past on this 3-hour walking tour of the capital’s most famous landmarks. With an expert guide, explore the maze-like streets of the Old City of London and see top sights such as Covent Garden, St Paul’s Cathedral, London Bridge and the Tower of London. Learn about the city’s long and sometimes dark past from your guide’s insightful commentary and see a new side to one of the world’s most visited cities. - Children up to 13 years old are welcome on this tour for free. - The independent guides who employ us to market their tours have your best interests in mind; while the tour usually includes the sites & stories mentioned and lasts about 3 hours, your tour may vary depending on what your guide thinks is best for your group. Meet your guide in Covent Garden and travel through time to the original London, a mere square mile nestled beside the river Thames. Walk by Monument Station and see the Monument to the Great Fire of London, which commemorates the Great Fire that took place on 1666. While you walk by the bridge, learn how the Old City has seen some of the most important events in British history. No visit to London is complete without photographing the majestic Tower Bridge. Snap some shots, while your guide drives you through the history and architecture of the Tower. See St. Paul's Cathedral, one of the most beautiful landmarks in London. Learn about the Cathedral's history and enjoy the beauty of its architecture. Your expert guide will tell you stories of the Old City, stretching back almost two thousand years. See Mansion House, the official residence of the Lord Mayor of London. Take in the sights of the Bank of England, the Royal Exchange and Covent Garden, the Church of the Knights Templar and much more! As you walk to the Tower of London, you'll explore the maze of small streets, church courtyards, and river walkways that make up the old town. Ben was a great tour guide. He was very informative. There is a lot of walking involved so make sure you wear comfortable shoes and always bring an umbrella for just in case it rains. It poured when I was on this tour. This was an excellent tour. Andy--the gentle giant--was a wealth of historical information and a great guide. He had a very good sense of humor, but really the top point is his knowledge of history. We had a guy on the tour who kept trying to one-up him on historical knowledge. He met his match and more in Andy. A very enjoyable experience. Thank you! Fortunately, a small group great guide and a wonderful sites. A must for a first time trip to London! Our guide Angus was one of the funniest, most energetic, positive knowledgeable guides I have ever had! Loved every second! My guide Caroline was awesome - very knowledge, energetic and accomodating. A wonderful evening! Our tour guide was very knowledgeable, knew perfectly well where to be at to catch some sights you wouldn't any other time. Loved that it was fast-paced with so much info. All with a perfect dose of humour! Definitely recommended. Would recommend this tour. We saw and learnt more than if we tried to do it by ourselves. Trevor was a most informative guide so if you get him it's a bonus. Good value. The tour was fabulous. Learning more of the history and stories, and having the chance to ask questions was a great way to experience the city in a new way. Our guide, Jake, was really great!